Such incidents provoked the makers of Shaktimaan to add a value based session. And thus Sorry Shaktimaan happened. 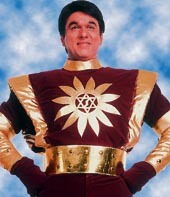 At the end of every episode, Shaktimaan would teach the kids not to do something, and tell them the reason. Tehero(Stop), was another highlight. Kids used to trust him, and take up the values shared in those episodes. Yes, he was a hero... but is he anymore? 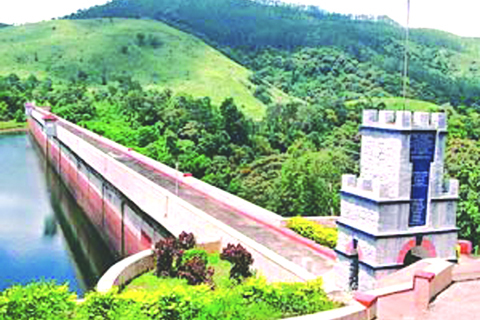 Previously I had written on how Mullaperiyar Dam, how it effects common man's thoughts. Here I would like to share an even more specific article - on how it effects common man. Now what question is that? Hasn't it been a burning issue for millions of lives? Ain't that supposed to effect common man? Yes, that would definitely effect common man, but then, the immediate effect makes things worse. To give a direct inference to the situation, last week one of my friends at Bangalore texted me this - All buses from Bangalore to Kerala via Tamil Nadu has been cancelled. I have no idea how I would get home for holidays. Now this was a point when it directly effected us. A dozen check-posts at Kerala-TN border has been closed by different political parties and local(of Tamil Nadu, as reports say). And as the result? Is this what we(Keralites) wanted? 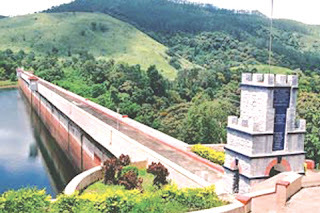 The Mullaperiyar Dam is getting old, and yes the movie Dam 999 has spilled anxiety in every Keralite. The issue escalated, Social networking added fuel to it. Kerala and Tamil Nadu are two states with a very cordial relationship. In fact, lots of them has friends in and out, and its sad to see people, who were once family, fight over such an issue. It is said that The next world war would be for Water, and if there is any truth in it, it has begun. First it was Orkut, then Facebook, then Google plus. Is Microsoft having thoughts to get into this mess now? Well, Microsoft is almost a part of Facebook and you can see it with Facebook closely related to Bing. Recently, Facebook has also been using Bing's translation mechanism to translate Facebook comments. I remember around 5 years ago, our school had a craze for a site called Think.com. I do not know if this site exists now, but back then, it was fun for us. With Orkut reigning the Social network(back then), this site was a change from the normal process. The theme of the site was Education, though. 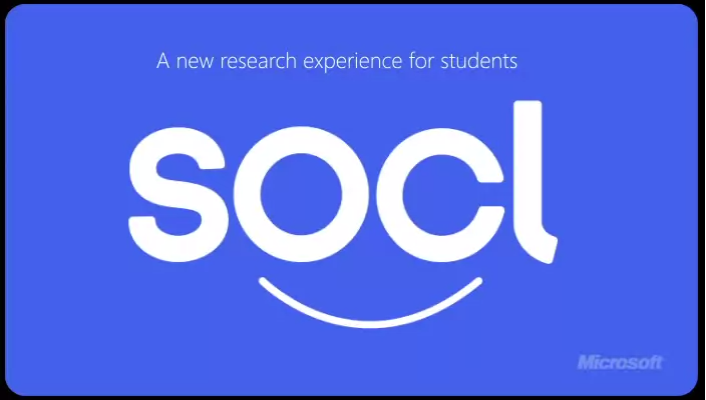 The site was meant to create a social network within the school, and share, learn and enjoy. School authorities had a control on whatever we did in there. Now why am I mentioning it? Microsoft is coming up with a similar service as well. 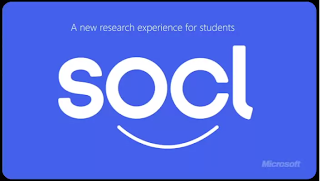 Called as So.cl(pronounced Social), this site has the aim of combining web browsing, search, and social networking for the purposes of learning. As for now, this service is available only to certain universities, however, you can request access for you Universit/School as well! You can find a detailed FAQ out here - Faq. Ah! Another sweet game! It's been a while since I involved myself to blogging and gaming. But this game is too good to be ignored(as always). The first installation of the series - Batman Arkham Asylum, was an instant hit(atleast for me). With "top of the shoulder" view being a win-win, and a particularly unique combat system, made me enjoy the game all over. This game has a new attraction to it - Catwoman. 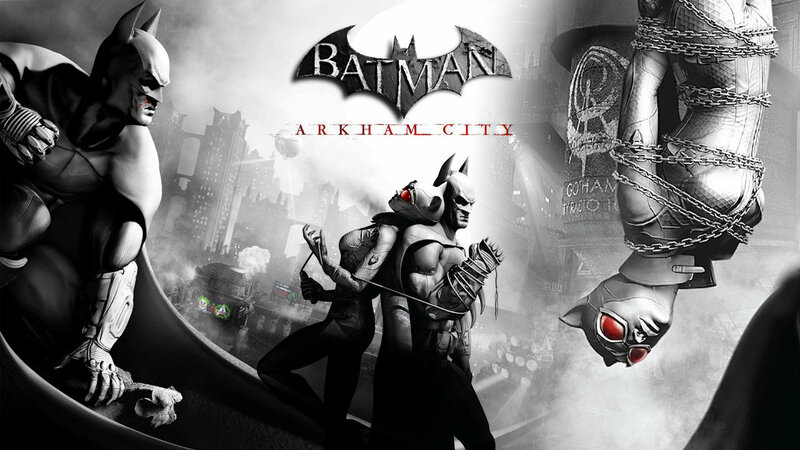 You get to play as Catwoman at some sequences of the story, wherein you go to rescue Batman, or do her normal job. But after you complete the game, you get to play as Batman and Catwoman to explore the Arkham City to complete Riddles and lots of sub plots. The main story involves with the commencement of Protocol 10, apparently a mysterious plan to take over Gotham City. Batman is not sure who is behind this plan, and as the game continues, the story unveils quite a lot. It involves surprise and suspense, making the game all the more enjoyable. Kapil Sibal, Indian Telecom Minister, has been all over news(and blogosphere) for the past week. The reason? I don't think anyone reading this would be unaware of it. He(along with Indian Govt.) wants to pre-screen content put into Facebook, Google and Yahoo!. In short, the Indian Govt. wants content to be approved before going to the public. 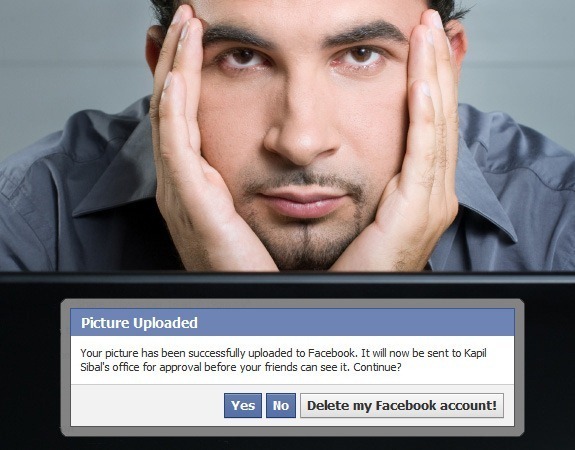 This has caused widespread disturbance on all sorts of Indian internet users. Tweets, Facebook messages, and even new comic sites have sprung into action on this cause. People question their right to freedom of expression. And in a way, its totally right. But, I totally agree with the approach of Indian Govt. in certain circumstances. For example, the pics that spread in Facebook which severely damaged religious sentiments. Those should be definitely removed, no excuses. I think the way Kapil Sibal pointed out these situations went totally wrong, or I should say the approach of Indian Govt. on this issue, was totally wrong. October 24, 2009 - After having a disappointing year in the Virtual World(with Lockerz owing a huge percentage), I thought to enter a whole new world of blogging. In the beginning, it never seemed so interesting, neither did I know there would be much to it. 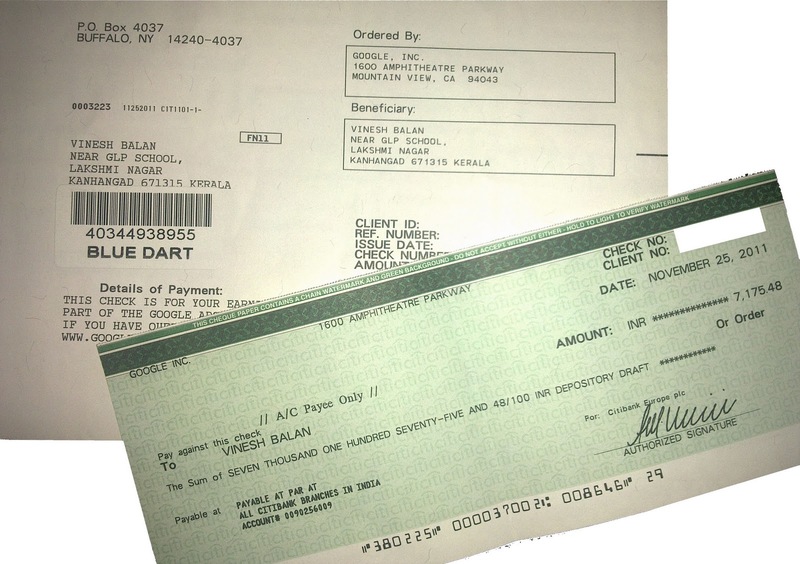 Nevertheless, I put forth my first post : My first post(which was actually an article I wrote for R3B00T, thanks to Gibu). But it never took my interest, it was just another installment for my online activities. But then came the Campus Recruitment Season, I, being a Placement Cell member, tried to share whatever info I had. And thanks to Shammi, and his Orkut community, the posts related to TCS and recruitment started gaining attention. In fact, I came to know that my blog started catching up in other colleges as well. Thanks to Akshita, and all other friends who spread the word. That was the beginning. The beginning when I realized the fact that I love having attention, and it comes by when you do something for others. There was no looking back then. Facebook, along with thousands of my friends on the network, helped me keep upto date with Technology(mainly) and other relevant concerns. Special thanks to Engadget and Mashable too. Got a chance to watch the controversial Dam 999 movie today. All this time I was wondering on why the movie was banned in Tamil Nadu, and why Tamil Nadu is forcing the Supreme Court to ban the movie in India. Now I guess I do have an idea, but I'm still sticking to the fact that - its just another movie. The movie as expected, revolves around the issue of Mullaperiyar. And contrary to the rumors that Dam 999 rigged the protests in Kerala, I opine differently. The movie has a romantic setup, with the Dam issue not much focused It sticks around the love of a couple, who were separated by fate. Kerala's culture, beliefs and customs have been beautifully portrayed in the movie. And I should say the Dirty politics have been well crafted too!